* ... BCHS BIRTHDAY: Reader Cherilee Ezell wrote to remind me that Bakersfield Christian High School is celebrating 30 years as a private, college preparatory school serving our community. She said last year the school kicked off an annual drive to raise funds for its financial aid program. She was proud to report that fully 30 percent of the school's students now benefit from some form of financial aid. The funds are being raised via "The Key Event," a black tie optional dinner with silent and live auctions to be held March 20 at Seven Oaks Country Club. For more information, call 661-410-7000. * ... BRAIN DRAIN: Susan Hersberger is the public affairs director over at Aera Energy and the proud mother of Mark and Kate, both of whom graduated from Stockdale High School and later UCLA. Neither returned to Bakersfield, but Susan's take on the "brain drain" is an optimistic one. 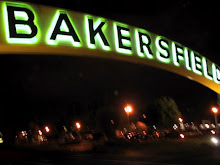 "While my children's careers may not bring them back to Bakersfield, at some point in their lives they will perhaps move to a Bakersfield somewhere and contribute to that community. Meanwhile, some of the best and brightest from other Bakersfields will find their way to this community - the oil industry for example is bringing in some terrific young people - so over time it will all even out." Well said. * ... REMEMBER CLINT OLIVIER? I received a nice call from local resident Janet Beckman who reports that her son in law, Clint Olivier, is running for the Fresno City Council. If that name sounds familiar, it's because Olivier was an on air reporter for KGET 17 here in Bakersfield before leaving for another TV station in Fresno. He married Beckman's daughter, West High and Cal Poly San Luis Obispo graduate Alisha Gallon. Alisha works at the ABC affiliate in Fresno. 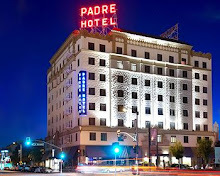 * ... PADRE OR PETROLEUM CLUB? 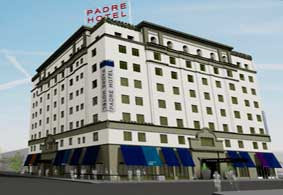 The reopening of the old Padre Hotel downtown has been the talk of downtown this week, and it has all been well deserved. The crowds have been impressive and owner Brett Miller told me he could not be happier. Saturday night every available room was sold out and there were waiting lists for both rooms and the main ground floor restaurant. Meanwhile, I stopped by the Petroleum Club on Friday and chatted with operations manager Lili Marsh, who reported business has been steady and good. Lunch was busy and I spotted Congressman Kevin McCarthy, retired oilman Harley Pinson and others enjoying the view Meanwhile over at Uricchios Trattoria Saturday night, it also was sold out and standing room only. 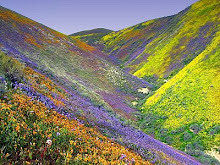 Good to see all these places doing well. * ... BAKERSFIELDISMS: I've had several readers forward me an email full of hilarious 'Bakersfieldisms," so thought I would occasionally offer them up for a morning chuckle. 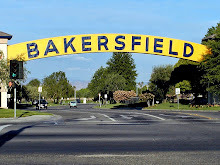 For example, you know you are from Bakersfield when: "You realize that Valley Fever is not a disco dance" and "You think a red light is just a suggestion."